We specialise in selling quality used cars to customers from Clitheroe and the surrounding towns of Preston, Blackburn, Burnley, Accrington, Nelson and throughout the North West. Here at James Alpe we have one of the best selections of quality used cars in the area. 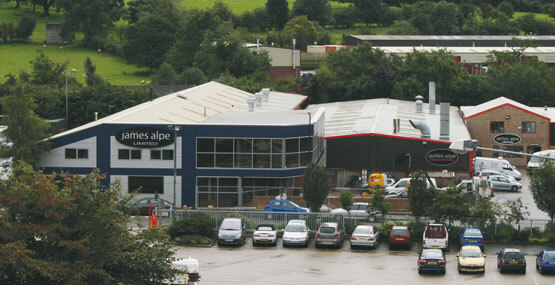 So if you're searching for quality used cars in Clitheroe, affordable cars for sale in Preston or a reliable used car dealer in Lancashire then you have found the ideal place here at James Alpe Vehicle Sales. Our varied stock includes Hatchbacks, MPV's, Estates, Saloons, Convertibles and Family Cars featuring all major makes and models such as Audi, BMW, Citroen, Chevrolet, Ford, Jaguar, Honda, Lexus, Mazda, Mini, Renault, Saab, Smart, Toyota, Vauxhall, Volkswagen and many more. Click here to view our current available stock in our online used car showroom. Many people contact us before they consider part exchanging their vehicle when buying a newer car from other garages as we specialise in used car disposals. Here at James Alpe Vehicle Sales We Buy Cars for Cash. By selling us your used car this can pave the way for you to negotiate a very good price with no part exchange which can provide you with a better deal than one you could get in part exchange for another car. If you are considering Part Exchanging your current vehicle we are happy to provide you with a quote against any of our current stock. James Alpe Vehicle Sales guarantee excellent part exchange allowances on our entire range of vehicles. If there is a particular car you have in mind that is not currently in our showroom, simply fill in our Car Locator form, provide your details, and we will do our utmost to source a suitable vehicle. Directions, telephone numbers and enquiry forms are available on our Location page. All of our vehicles are expertly sourced so you can be assured of excellent quality and good value for money. Our reputation speaks for itself with a standard of service second to none. You are able to choose your next used car with absolute confidence at James Alpe, Used Car Dealer Clitheroe, Lancashire.